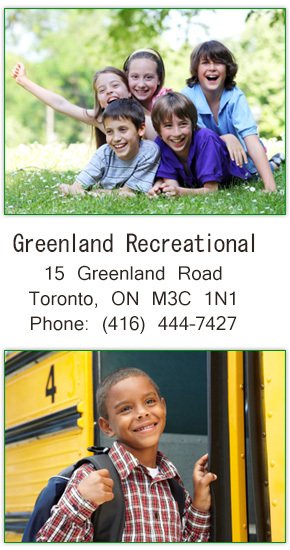 Greenland Recreational After School Program (GRASP) is conveniently located on the Greenland Public School property and is open from 7:30 am to 6 pm. GRASP is a non-profit, charitable organization that has been in operation since 1985. We are a community-based program, run by an involved and caring Board of Directors. Although priority is given to students of Greenland Public School, children from neighbouring schools are also eligible for inclusion in the program. At GRASP, we focus on working with the families, the community and the schools to provide an enriched, stimulating and safe environment for the children. The program at GRASP includes building skills in the areas of creative arts, sensory, science, cognitive, critical thinking, building and creating, language and is accompanied by a wide range of indoor and outdoor gross motor activities. The program is designed to meet the needs of your child/ren and ensure that your child/ren not only acquire new skills, but also form a positive self-image. GRASP’s mandate is to provide affordable non-profit childcare to our community through quality programs and qualified staff. Our program is designed through pedagogy in a nurturing, child-focused environment at its core. We believe that children should be involved in choosing programming that that interests them and is supported through pedagogy. Our philosophy is based on the premise that children are active rather than passive participants in their own learning process and are competent, capable and curious with rich potentials. Understanding that each child develops at their own rate, our programs are fluid in design with activities to suit each child’s needs. Founded on this principle, our intent is to strengthen the quality of programming and ensure high quality experiences that lead to a positive outcome for children’s learning, development, health and wellbeing.